The recent ban imposed by the Supreme Court on the sale of diesel SUVs and passenger cars with an engine capacity of 2000cc and more in the NCR region, has evoked strong reactions. I am completely committed to reduction of pollution and improving the air quality in Delhi and other cities of India and something surely needs to be done to correct this. But what? Arvind Kejriwal's government intends to introduce the odd and even licence plate formula to reduce the number of vehicles on the road. They even sought the Supreme Court's approval for this. The bench of the Chief Justice TS Thakur and Justices AL Sikri and R Banumathi said, "Taking a decision on use of odd-even car number is in public domain. If you think you can implement it, and it's the way forward, then go ahead. Has anyone stopped you from implementing it?" The Supreme Court also said if the government went ahead with it, even judges and the Chief Justice of India would abide by it. This provides a very good insight into the situation. The Supreme Court has said, if you can implement it, then go ahead. This plainly establishes that implementation will not be easy. Already there is talk of fake number plates being sold. One accessory dealer I spoke to said that soon they could be selling plates that flip around like the ones you see in James Bond films! Those who can afford it will simply get both odd and even number vehicles. Some years back, the Supreme Court banned the use of dark window films in cars, but you still see them all over the place. The other important thing the Supreme Court has said is that even judges and the Chief Justice would abide by it. This is really praiseworthy. But it also reveals that certain VIPs like our politicians, bureaucrats, well connected businessmen and criminals, may find ways to exempt themselves from this rule. And in a place like Delhi, it could even become the next status symbol to have an exemption certificate or sticker for the odd and even rule. As mentioned earlier, the Supreme Court has banned the registration of diesel vehicles in the NCR region from January 1, 2016, for the next three months. The court stated that, "Rich people can't go around in luxury sedans and SUVs polluting the environment. Let them not have new cars for some time." To the appeal of auto dealers and manufacturers, the court's response was, "People's lives are at stake and you are interested in selling cars." Amicus curiae Harish Salve who I hold in great respect, pressed for a complete ban on registration of all diesel vehicles, saying that each diesel car was 10 times more polluting than a petrol car! How exactly he has come to this conclusion, I am not sure. But I am sure that like me, many disagree with this argument and find it factually weak. While passing its order, the court has singled out rich people. Are they the only culprits? I think not. As per SIAM (Society of Indian Automobile Manufacturers), this ban will not bring about any perceptible improvement in the air quality of Delhi. Because according to some reports cited by SIAM, vehicles are responsible for only 20 per cent of the pollution in Delhi, out of which only 14-15 per cent is attributable to passenger cars. This makes the overall pollution load of passenger cars a miniscule number of just 3 per cent. SIAM also says that "restricting sales of BS IV compliant vehicles will further delay the proportion of BS IV vehicles on the road, while older BS I/II/III vehicles would continue to ply. If reduction of pollution was the objective, the Supreme Court could have encouraged more BS IV vehicles to be sold and could have restricted use of older vehicles that pollute more, as the emissions from one old vehicle is equivalent to five new vehicles. Bringing in better technology to replace older technologies would have been more effective in meeting the challenge of pollution and air quality." Many people state that the quality of air in Delhi has gotten so bad that several strong measures are needed to set things right. I am all for strong measures and corrective action. But this cannot justify lack of long term vision and planning. In the winter months, people in the NCR region burn fires to stay warm. The fuel is wood along with all sorts of garbage including toxins like plastic and rubber. Has this been banned or stopped? The answer is no. Generators running on diesel spew a whole lot of pollutants. Is anything being done to stop or control this? No. Have bypasses been built to divert truck traffic not headed to Delhi? Again, the answer is no. Instead, the Supreme Court has levied taxes on entry of trucks which use Delhi as a transit route for other states. Will the government be able to implement this efficiently? No. We are only creating more avenues for corruption. In states like Haryana and Punjab which neighbour the NCR region, rice is a major crop, and open burning of rice straw after harvesting is a common practice. This activity releases a large amount of air pollutants, which can cause serious effects on the ambient air quality, public health and climate. Though burning of paddy straw is banned, farmers in Haryana, Punjab etc continue with this practice and as a result contribute significantly to the pollution in Delhi. Sadly, no serious assessment of the impacts of the open rice straw burning on the air quality in Delhi appears to have been done. The adulteration of fuel is another big reason for pollution. Has the government stopped this criminal activity? The answer, once again, is no. 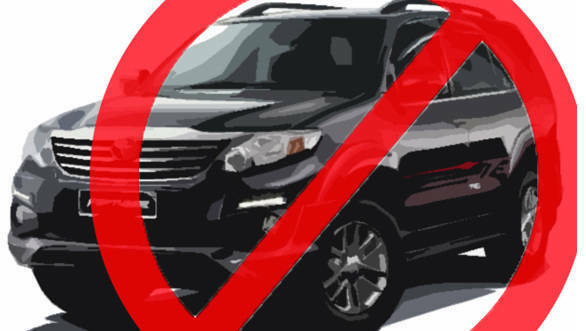 Is there any rationale behind the Delhi diesel car registration ban?